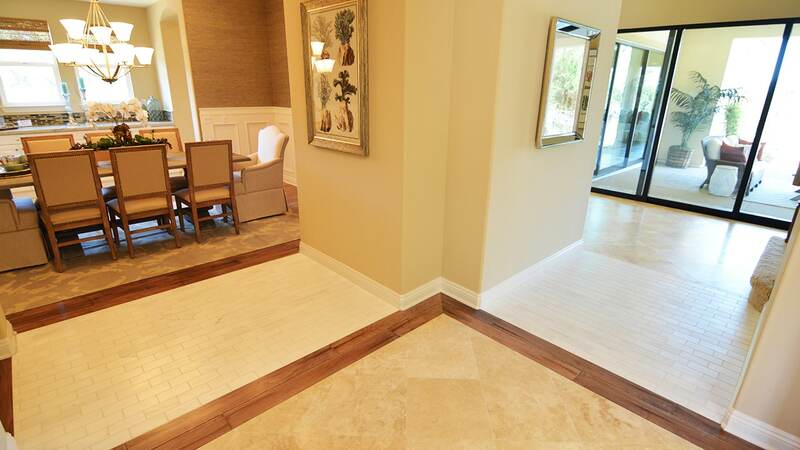 This newly constructed home nestled in the hills of Claremont has a very warm and stylish design. 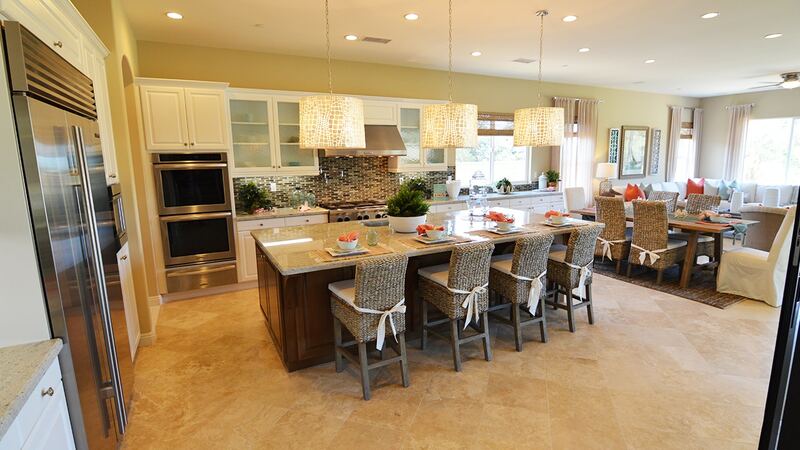 The kitchen design starts with travertine flooring, white cabinets and glass inserts in the upper cabinets. 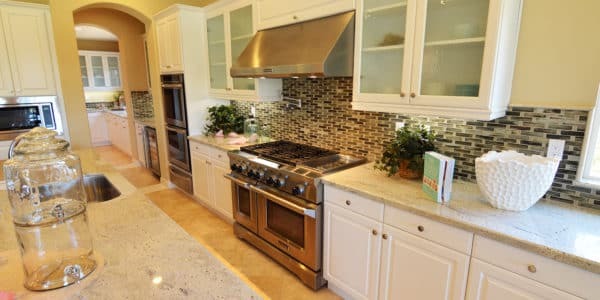 The countertops are granite with a square polished edge. 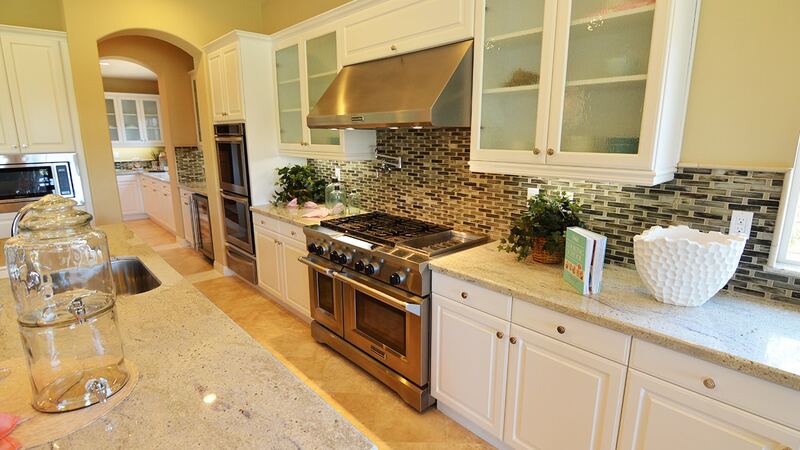 The kitchen backsplash is glass mosaic. 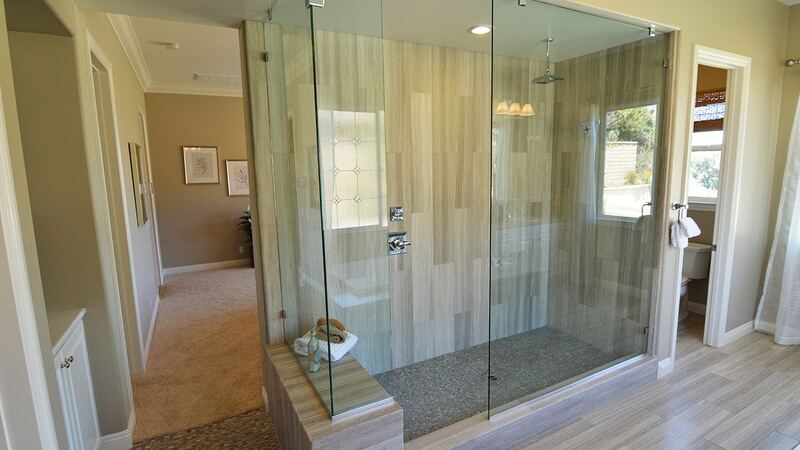 The master bathroom is tiled to the ceiling in the shower with 6×24 plank tile. 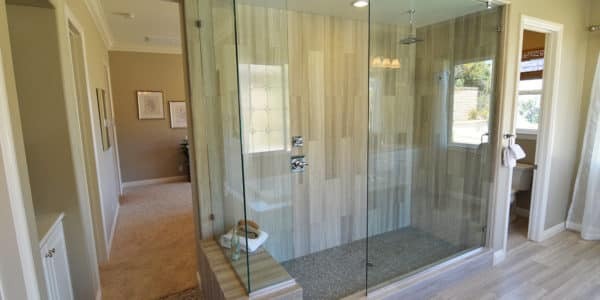 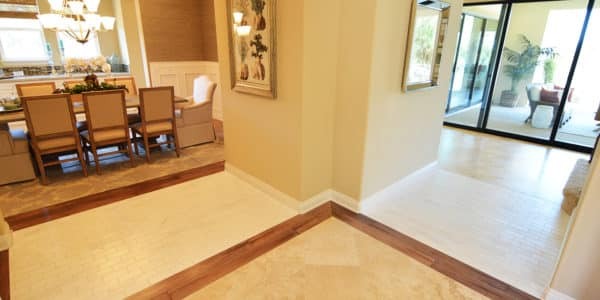 The bathroom floor is tiled in the same plank tile. 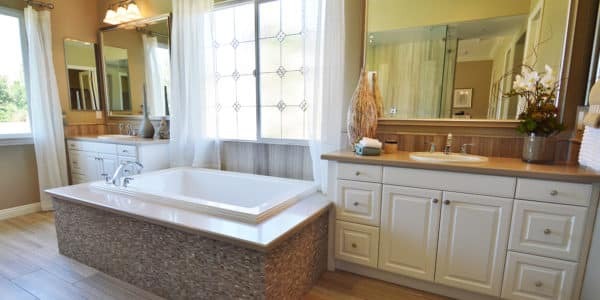 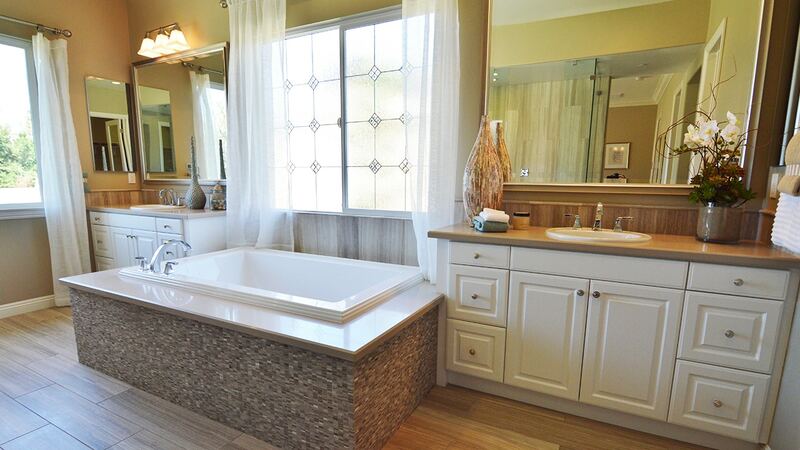 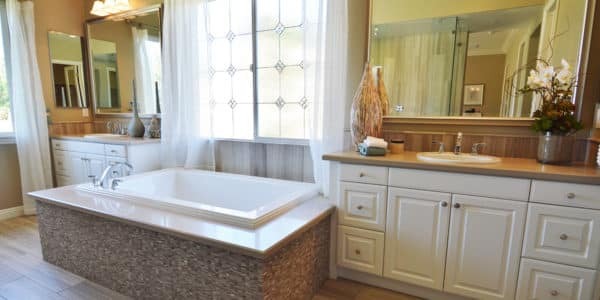 The cabinets and tub deck are covered with gray quartz accented with mini stone mosaic.